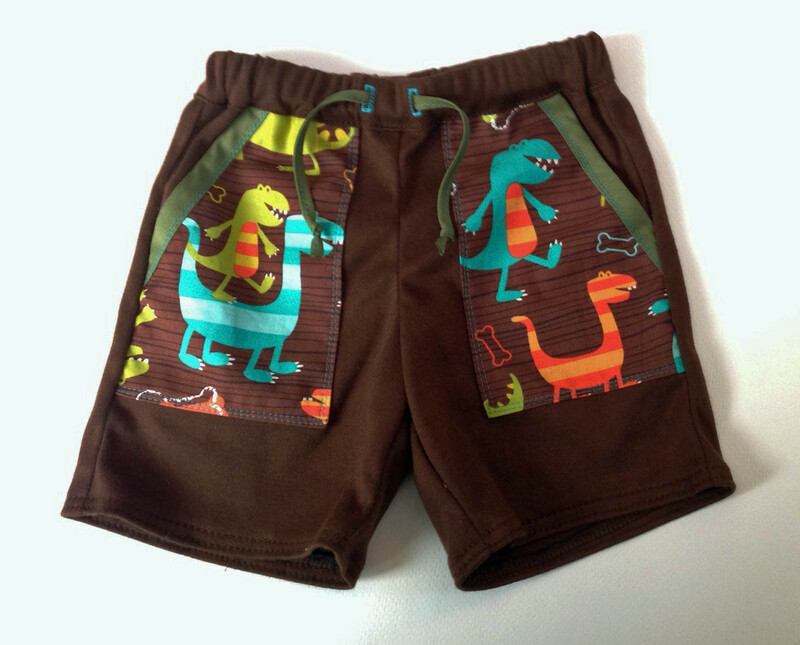 Wow, there have been so many fantastic Sunny Day Shorts popping up all over the place. It seems the new free pattern has been very well received. I gathered several photos up from those left in the comment section in the introduction post to offer you some ideas and inspiration. I think in this round-up there’s something for everyone. First, we start out with leanhchi who used floral fabric from the Lisette collection. 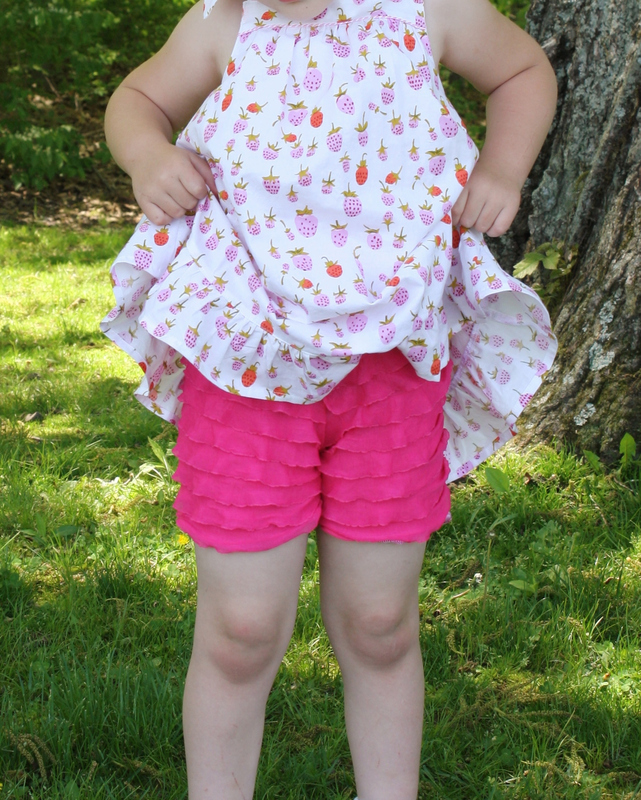 Mama_knowles03 made some out of hot pink ruffle knit fabric to go under dresses for the playground. Teri Dodds created a pair using blue and white striped seersucker and added a star appliqué. 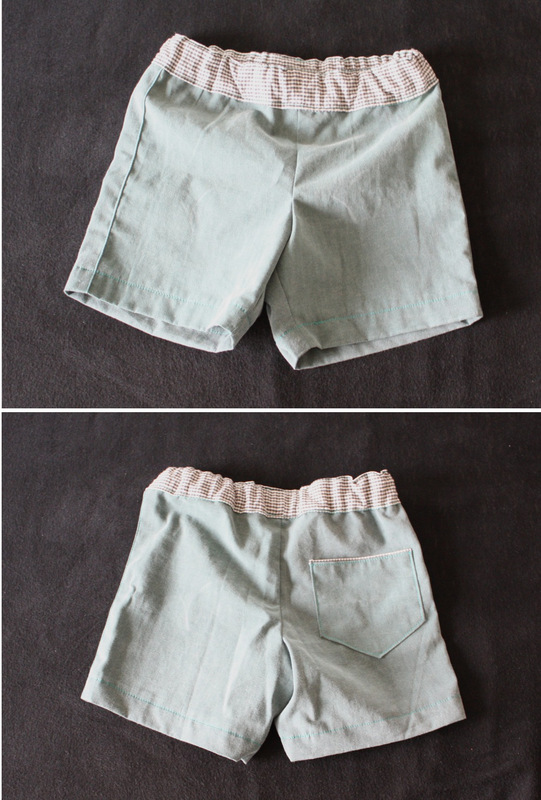 Here is an eye-catching pair made out of Anna Maria Horner linen. 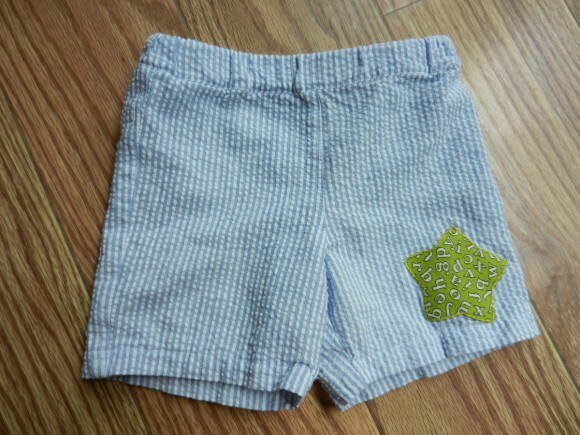 Seven pretty added pockets and also a bow at the waistband. Lea Zzzzhhh did this pair with a contrast waistband and added a pocket in the back with piping at the top. Goldenbear80 sewed up ones out of plaid patchwork fabric with a contrast waistband. 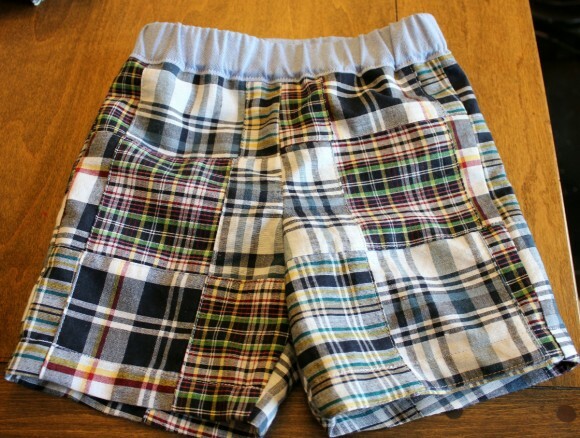 These are made out of denim. 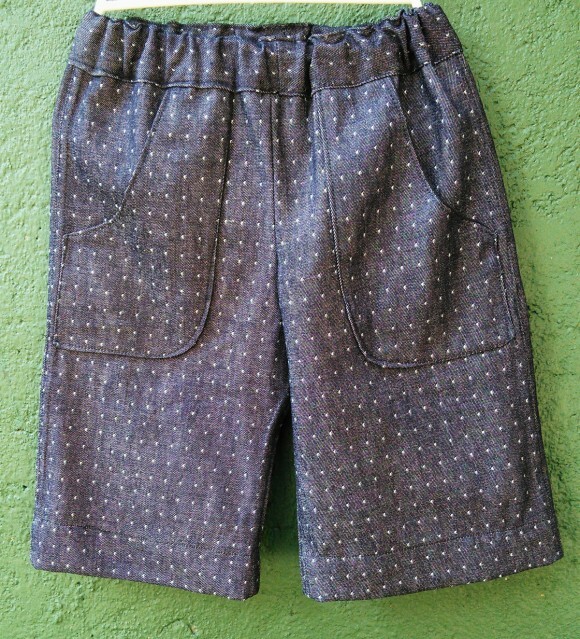 Sam and the Guys added lined pockets, 5 inches in length, and used flat felled seams. 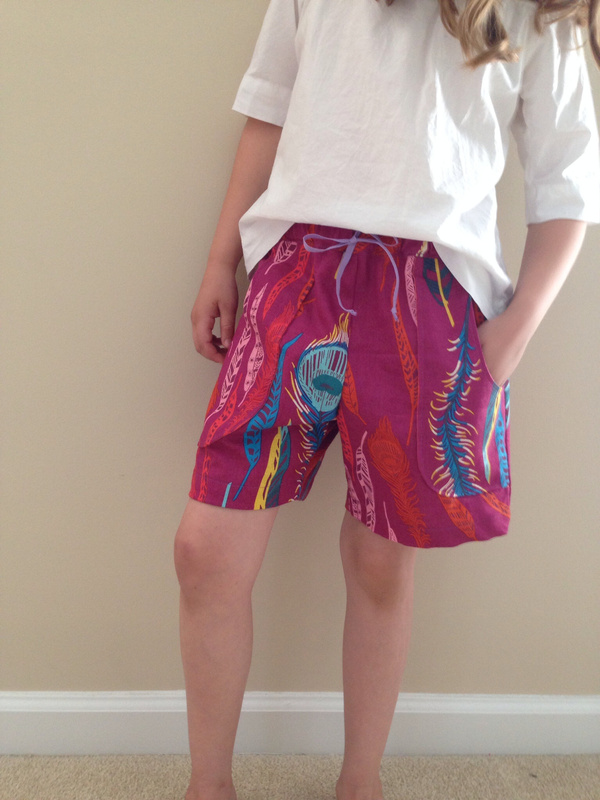 These shorts feature patch pockets trimmed with bias tape and also a faux drawstring. They were made by Airell Friedman. 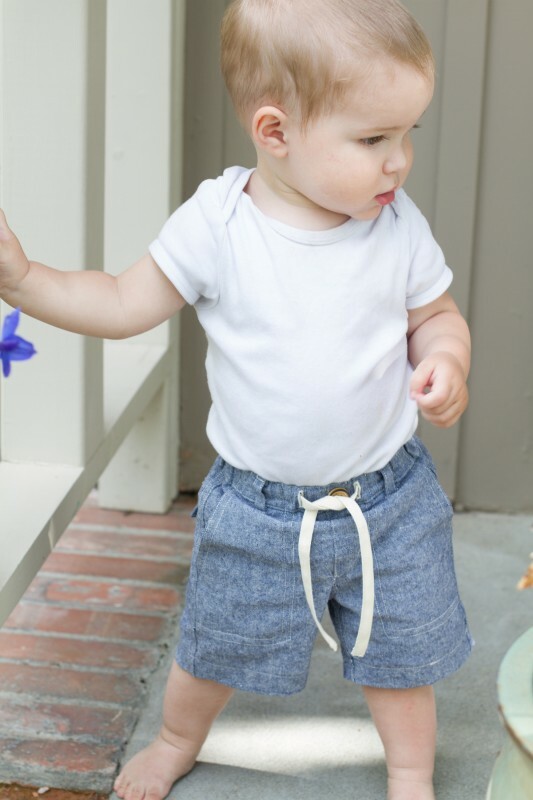 Amanda Hartman used chambray, added front pockets, belt loops, a faux fly, faux draw string, a cargo pocket on the back, a button, lots of topstitching, and used flat felled seams. 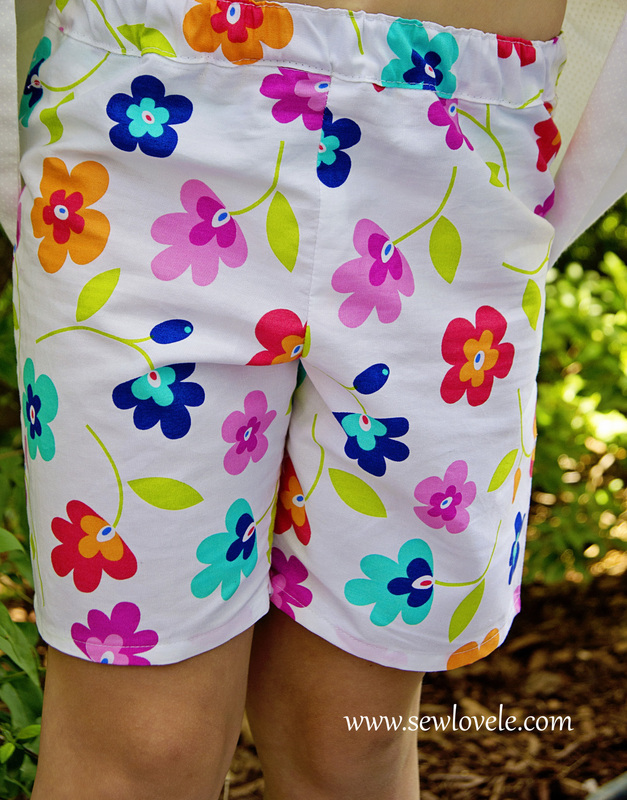 I hope you will continue to add your Sunny Day Shorts to the Oliver + S Flickr group.